Size comparison 2"x4" vs 4"x8"
This tile is a fraction of the cost and a fraction of the size of the larger heron tiles offered on this website. This tiny handmade tile measures a mere 2"x4". 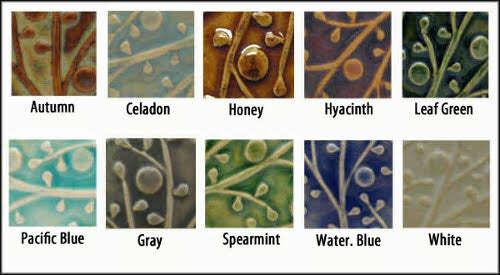 Price listed is for a single 2"x4" heron tile, facing to the right, in choice of one single glaze. The photo of this tile next to the 4"x8" version of this design is shown for reference only. This design is available in the 3"x6" size, as well. All the different sizes of herons can also be ordered in sets of two mirror image herons, facing each other. Available in several different glazes, all lead free and dinnerware safe. Can be hung on the wall using a nail or screw. Ideal for installation in kitchen, bathroom, or fireplace surround. Original design, sculpted in relief and reproduced by the artist, by hand. Made of durable stoneware. Twice fired, first to 1800F, then to 2200F.